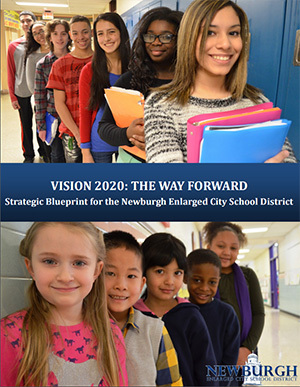 We would like to extend our deepest appreciation to the teachers, staff, parents, scholars, administrators, Board of Education, community members and outside agencies who contributed to this strategic planning process designed to shape the teaching and learning of the Newburgh Enlarged City School District through 2020. It’s your dedication and hard work that has helped make this possible. The 2015-2020 strategic blueprint (Vision 2020: The Way Forward) represents a united focus on how to better serves our scholars. Use the link below to download the document.